Sliders are something that can really make you work or make your work easier. Between getting smooth motion and fighting with a slider you may find yourself in a spot where you end up hating to use a camera slider manually. That's were motorized options come in, but those are pretty pricey when it comes to implementing them into your workflow. 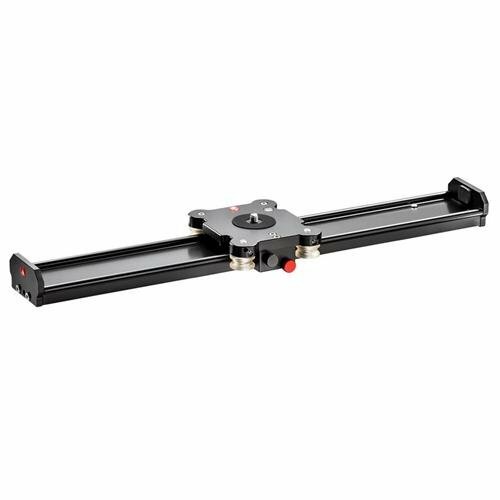 That being said, the Manfrotto MVS060A camera slider is probably the only slider that needs zero practice and definitely doesn't need a motor to get really smooth shots. It is by far the best slider I've used to date and it is something I would love to have had the opportunity to own. It does have one negative; it's a heavy slider and portability is hurt by how heavy it is. It's a great length, but it's heavy and you'll more often than not pass on taking it out with you because of how heavy it is. My next favorite slider - which is currently one of two sliders I own - is the SliderONE by edelkrone. This pocket-sized slider is one of the most unique and useful tools in my workflow. It screams: "TAKE ME WITH YOU!" when you go out to shoot some B-roll. It definitely lives up to the claim of being the worlds smallest slider, as it fits in the palm of your hand. There have been some people that have told me it isn't as smooth as they would like, as it has some jerkiness to it, but I personally haven't experienced any of these claims. Is it the smoothest slider ever? Absolutely not! Does it work for me? Hell yes it does! Coming it at $250, it's not the cheapest option, but it's not too hefty either. And for it being super portable, I'm willing to pay that price. 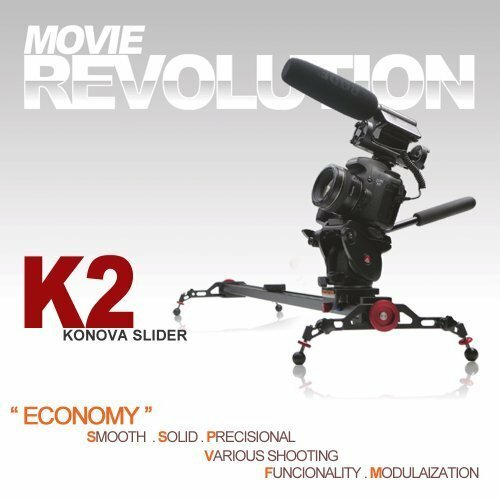 The Konova K2 was my first every ball-bearing based slider and it's a damn good one at that. It functions extremely well and is portable considering its size and counterpart offerings on the market. The benefit of buying into Konova, is that is a really well know brand and the slider is extremely modular. 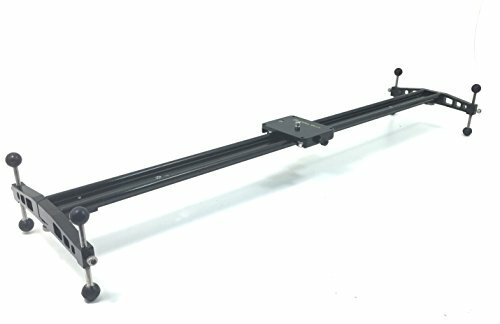 There are plenty of upgrade options out there for the Konova systems so if you ever wanted to add a motor to your slider at a later date, you can! The K2 is probably the best bang for your buck out of the sliders listed in my article. At around $200 you can't beat it. It features outstanding build quality and will last you a very long time. I owned my K2 for a year and never had any issues with it. The Konova served me well and definitely helped me capture more interesting shots in my content. Rounding out my list are the most budget friendly and well build sliders I've had the opportunity to test. I started my slider experience on the DEV 235 (friction-based) slider and it helped me learn about sliders and what I should expect from them. The DEV 235 holds a special place with me because it helped me identify what I wanted from my sliders performance and build quality. Then the Cobra 235 was announced and for an extra $10 you get a far superior sliding experience. The folks at Glide Gear turned its popular DEV 235 friction-based slider into a bearing-based one, all while maintaining high standard, build quality, and sliding experience. 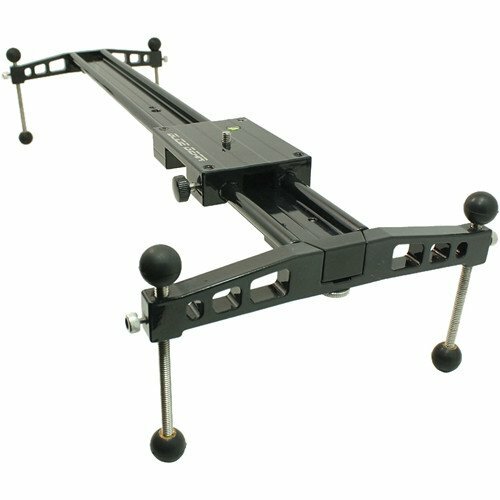 The Cobra 235 is my recommended slider to those individuals on a tight budget. If you want a portable sliding experience, the edelkrone SliderONE is your choice. If you want perfect manual slides right out of the box with little to no practice, the Manfrotto MVS060A is your choice. If you're on a really tight budget, the Glide Gear Cobra 235 is your choice. If you want a modular slider that can be upgraded and improved over time, the Konova K2 is your choice. They are all great sliders. Feel free to leave comments, questions, or suggestions down below!